In 2004 my family was chosen to host an episode of a Food Network cooking show called Food 911 with Chef Tyler Florence. From 6 a.m. until 8:30 p.m. that evening, my home was transformed into a gourmet kitchen studio with cameras, lighting, a crew, producers, stagers and Chef Florence. I had a blast cooking side by side with Tyler and we presented a great menu. One of the techniques I still use today are the mashed potatoes recipe. We made them last night as a side dish to grilled rosemary lamb chops and I knew I'd have to share! In a small sauce pan, combine milk, butter, head of garlic, thyme, bay leaf and salt. Heat over low heat until butter melts and milk warms. The longer you warm it, the more garlic taste it has! Meanwhile, put potatoes in large pot covered with cold water. Bring to a boil and simmer until they are fork tender, about 20 - 30 minutes. Drain the potatoes well and while still warm, press them through a potato ricer or food mill into a mixing bowl. Slowly add the warm milk mixture, leaving the garlic, thyme and bay leaf in the pan. Stir to incorporate, adding a little milk mixture at a time until fluffy. Season with pepper and serve immediately. NOTE: I added some chopped fresh thyme to my potatoes as well as fresh chives! YUMMY! Fluffy Mashed Potatoes with rosemary grilled Lamb Chops and artichokes. 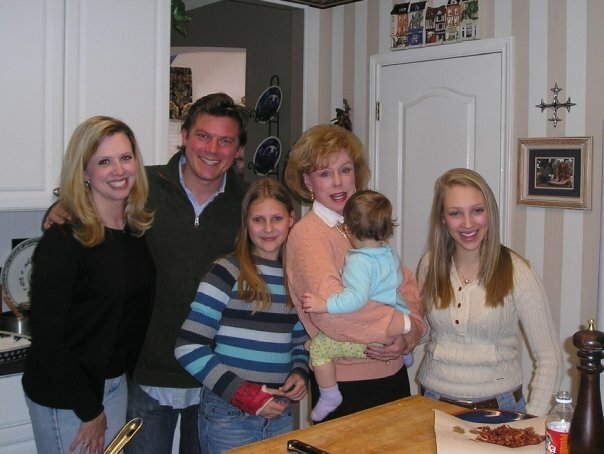 How awesome that Tyler Florence was in your house cooking right beside you!??!?! I will definitely have to try this recipe out! YG's make the best mashed potatoes, don't they? I love that you add garlic and thyme and bay to yours. Delish! PS - I just realized (nearly a month later) that Tyler Florence was in your photo. Wow, how exciting to be in an episode of Food 911. Your greatest treasures in life can be found wherever you invest your time, attention and resources. Fish, to taste right, must swim three times - in water, in butter, and in wine. Iced Coffee - refreshing for the summertime! Do you LOVE Apple Pie? Artichokes - Amazingly easy and delicious!